The UPF-UK Annual Peace Council was a full day of the ideals and the activities of the Universal Peace Federation worldwide. There were the ideals and values as expressed by European UPF President Dr Yong Cheon Song and UK UPF Chairman Jack Corley. The activities of local, national, European and other continents featured during the day. Mark Brann, UPF European Secretary General, summarised developments worldwide especially reporting on the development of the European Leadership Conference series and the North Korean Medical Project. Robin Marsh and Margaret Ali presented the 2012 activities of UK UPF including several of the European Leadership Conferences. 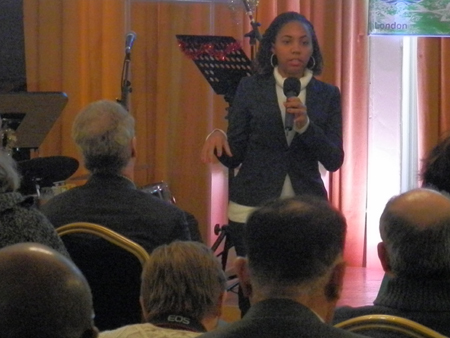 Christa Kamga spoke early about the Youth Interfaith Council and the North Korean refugees book fair. 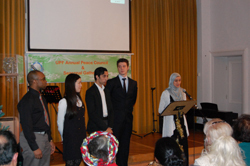 She was followed later by remainder of the Youth UPF team made a group presentation about their projects. Neil O'Neil, Keldon Alleyne, Asuka Ohagi, Shabnam Khan and Adam Nazar explained the character education, 'evening with' (interviews with an inspiring person) and the human rights education. Farah Jabeen shared that it had been a great day full of activism, idealism and an enthusiastic desire to make the world a better place. Roshan Ahmed said that to have so many good people who want to help the wider society made the atmosphere electrifying. 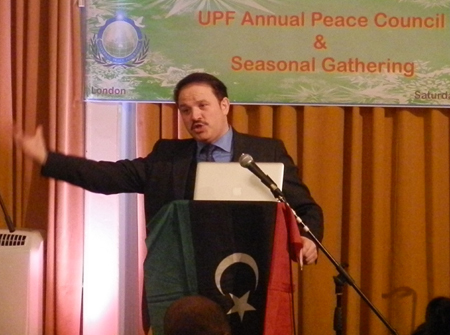 There were reports and a speech regarding Libya's development. Mr Ahmed Shebani, (photo right) the Founder of the Democratic Party of Libya, spoke of his vision for Libya. He perceives the opportunity for a prosperous, fair, just and religiously tolerant and inclusive nation. He answered questions that revealed more of the contemporary situation of Libya and its relationship with its neighbours. He was followed by Amira El-Houderi who has been involved in project called 'Destoori' to raise awareness on the local level in Libya of the democratic process of forming a constitution. 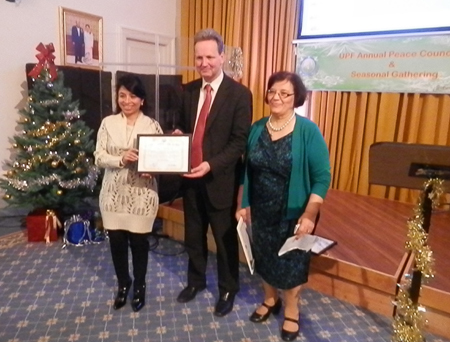 She later received an Ambassador for Peace award for her effort. Ambassador for Peace awards were presented to Imam Mohammed Arif Hansrot, Amira El-Houderi, Harun Asif, Belinda Atim, Farah Jabeen and Iyoud Daoudh.